இந்த செய்தியை jaffna muslim இணையம் 22-03.2018 அன்று http://www.jaffnamuslim.com/2018/03/blog-post_553.html. பிரசுரித்திருந்தது. 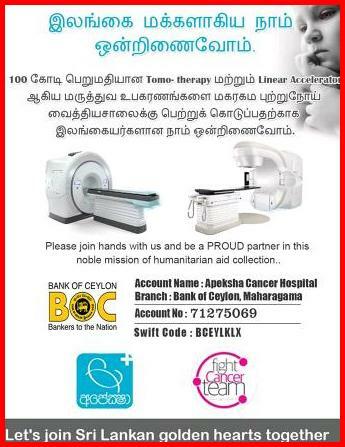 இஸ்மாயில் ஹசரத் என்று தெரியாமல்தான் அந்த செய்தி பிரசுரிக்கப்பட்டது. இப்போது அவர் மரணித்துவிட்ட நிலையில் அந்தச் செய்தி மீண்டும் பதிவேற்றப்படுகிறது. (முஃமின்களே!) அறிந்து கொள்ளுங்கள்; நிச்சயமாக அல்லாஹ்வின் நேசர்களுக்கு எவ்வித அச்சமும் இல்லை; அவர்கள் துக்கப்படவும் மாட்டார்கள். முஸ்லிமாக பிறந்த ஒவ்வொருவரும் கட்டாயம் தொழுது தான் ஆக வேண்டும், அதில் என்ன ஆச்சரியம் இருக்கிறது???? May Allah Forgive him and Given Jannathul Firdouse. Dear Brothers, Do not praise people too much... We have seen many people do pray on street but no body comment and no need to comment on this acts. They are doing what they are supposed to do. If you visit many arab lands.. all along the roads you will see people praying stoping their vehicls. Makkan Kuraish started to worship LATH and UZZA ... But you know these LATH and UZZA were good people... but they started to praise them too much and finally reached the level of Shirk. We have already heard many people elevating this issue and said.. The Arsh of Allah got shaken and so on.. Remember What Muhammed (sal) said over hearing people said during the death of IBRAHIM (son of Muhammed)..Sun eclipsed for this death sake..
"""The sun and the moon are signs of God. They are eclipsed neither for the death nor birth of any man". NOTE: May Allah forgive our brother Ismail and Reward him with Jannah. We prayed several time.... 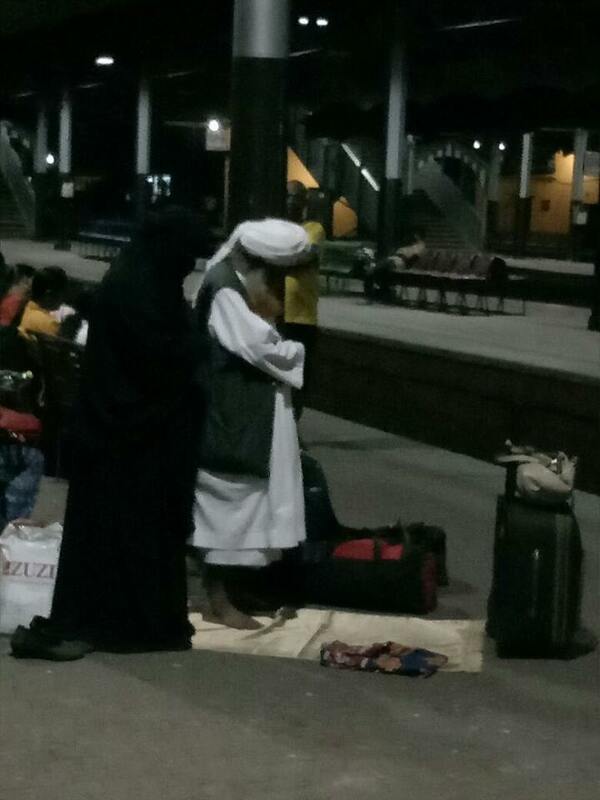 Specially - when you are going for 5.00am Train to Colombo, there is no choice - you have to pray at station - otherwise - you will miss the train. So, this shouldn't be a big deal for any Muslim, it is an obligation for every muslim to perform 5 times prayer. please take it as a good example to others. Praying in a public place surrounded by non Muslims is really a good example to others. this is not middle east brother. I'm also complete agreement with Bro. Mohammed. I also came across number of posts praising Ismail Hazarath so much. I heard a guy saying at markass when Ismail Hazarath do bayan, even Jinns used to come and listen which was evidenced by two tube bulbs handing over the heard starting to shake.. I think these are not healthy signs.. Please do not make a big issue out of it.why make a big fuss about these things. I do agree with Bro. Mohammed's comment as above. In acts of Ebadah one should avoid "Riya" meaning showing off. Here I narrate a story from a reputed Islamic Scholar from Saudi, in a Jumma Sermon he said this. Once the Sheikh was at JFK Airport in NY and it was time for prayer (either Maghrib or Isha I don't remember exactly), then the Sheikh called for Atha'an in the Airport, after that he stood to lead the prayer after calling Ikamath, sill he didn't see anyone behind him; then when he finished reciting Surah Fatiha, he heard a chorus like sound consisting many wosrhippers praying behind him, saying Ameen loudly. So the message here the Sheikh is implying was "if you lead others will follow", makes a lot of sense to me. I never heard about this Hazarath until his death was announced. Inna Lillaahi Wainna Ilahi Rjioon. @ Mafaz you gave some nice jokes about jinn & tube bulbs shaking story, this beats Vadivel & Sandanam comics. There are people who follow a kind of cult called Luciferianism; Donald Trump his son-in-law Jared Kushner & wife and many others are in it; it is in other words worshipping of Satan in the church of Lucifer, at this place we hear some magical superstitious things are performed or happening and evil plots are planned, is this thing called Markass such a place? AHMED:-> you're opening a can of worms, where did I say this person is a cult??? I named the cultists clearly and am asking if that place called Markass where those bulbs shook - is a place like the church of Lucifer. When I very clearly mentioned that I never ever heard of this Hazarath even once until his death was announced, but if you hold somebody so high for whatever reason it is your choice, don't try to impose your ideology on others. In fact I was responding to blogger Mafaz as his comments was pretty much on the same wave length as that of mine, I don't know why you jumped in??? is it to pick a fight Asthaghfirllah. Habeebi you spoiled my day, PERIOD. Neither any judgement nor any Fatwa given here, don't deliberately mislead readers & first of all you must limit your "wild imagination" before telling others, learn to talk with a straight face without hiding under some twisted ideology or being a mouthpiece for someone. Vadivel was mentioned on a comment for a comic comparison & Kushner was mentioned about his cult, so what..? you are trying to pick points from here and and there to quote me out of context to mislead readers. You don't live up to your tag line that's why I address you as Truth_Hijacked. PERIOD. For those Bloggers posting various comments against me, I noticed one thing that is: the invisible enemy, the evil whisperer Saitan is more or less found this to be a good platform for him to create Fitna among the believers, so I decided to save myself from the clutches of the cursed one, by NOT posting any more comments on this particular subject. May Allah protect us all and guide us in seeking the "absolute truth". ஹஸரத் மீது உள்ள அளவு கடந்த அன்பு தடையாக இருக்கக் கூடாது..
குறிப்பு: மரணித்த ஹஸரத்தின் மரியாதையை குறைக்க விரும்பவில்லை. அல்லாஹ் அவருக்கு ரஹ்மத் செய்ய வேண்டும். ஆனால் ஹஸரத் மீது உள்ள அளவு கடந்த அன்பு இஸ்லாமிய சட்டங்களை தெளிவாக அறிந்து கொள்வதற்கு தடையாக இருக்கக் கூடாது. ஒரு பெண் தனது கணவனோடு ஜமஅத்தாக தொழும் போது கணவனுக்கு பின்னால் நிற்க வேண்டும். ஆண்கள் போன்று வலது பக்கமாக பக்கத்தில் நிற்க முடியாது..
நபி (ஸல்) அவர்கள் அனஸ் (ரழி) மற்றும் அனஸ் (ரழி)யின் தாய் உம்மு ஸுலைம் (ரழி) ஆகியோருடன் ஜமஅத்தாக தொழும் போது அனஸ் (ரழி) அவர்களை தனது வலது பக்கத்திலும் உம்மு ஸுலைம் (ரழி) அவர்களை பின்னால் நிற்ச் செய்தார்கள். يجوز للرجل أن يؤُمَّ زوجته في الصلاة ، وتصفَُّّ المرأة خلف الرجل ، إذ لا يجوز لها أن تصُفَّ معه ، لأن النبي صلى الله عليه وسلم لما صلى بأنس واليتيم جعل أم سُليْم خلفهما ، وهي أمُّ أنس . قال الكاساني : إذا كان مع الإمام امرأة أقامها خلفه . وقال ابن رشد الحفيد : ولا خلاف في أن المرأة الواحدة تصلي خلف الإمام وأنها إذا كانت مع الرجل صلى الرجل إلى جانب الإمام والمرأة خلفه . See relationship between muhammath sallallaahu alaihiwasallam.